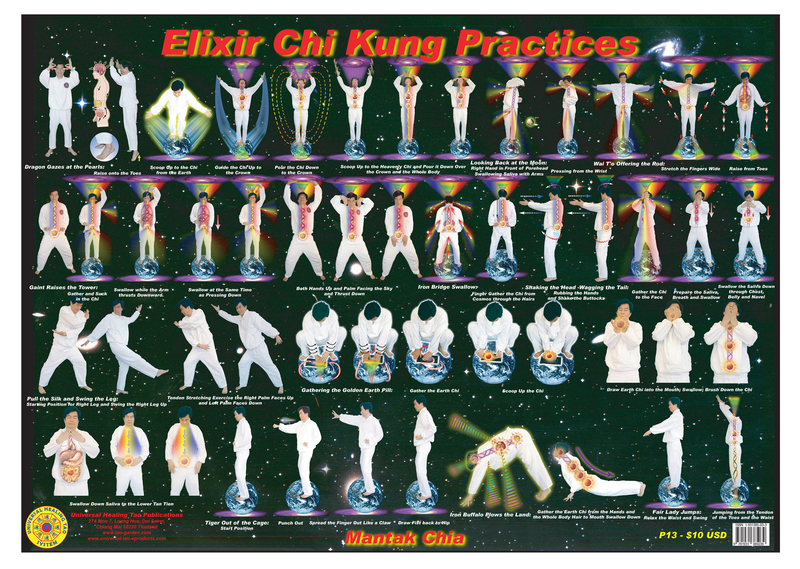 Golden Elixir Chi Kung contains twelve postures that develop and utilize the healing power of saliva. Ten of these involve gathering energy and forces through the body's hair, which acts as a negative energy filter and can also be used to store surplus positive energy. Taoists regard the hair as antennae extending out into nature and the universe. By utilizing these practices you can develop self-healing abilities that revitalize organs and promote longevity and spiritual vitality.